Outdoor Lighting Perspectives of Nashville recently re-visited the always beautiful neighborhood of Belle Meade to install outdoor lighting and lighting control. These homeowners had quite a large distance between their residence and their pool and pool house. 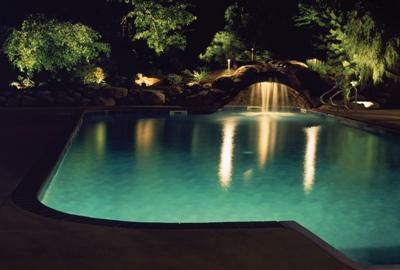 Simply put they were tired of walking to the pool in the dark to turn the lights on. Not only was this a safety issue it was also an inconvenience that we were able to easily remedy by applying lighting control. 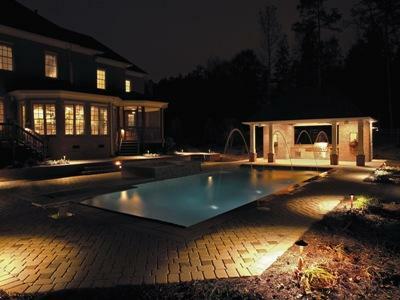 All the existing lighting had been controlled from within the pool house itself and required maneuvering through the night to finally reach the switch to illuminate the area. This is very similar in relation to an individual having a detached garage or guest house with the same issues. 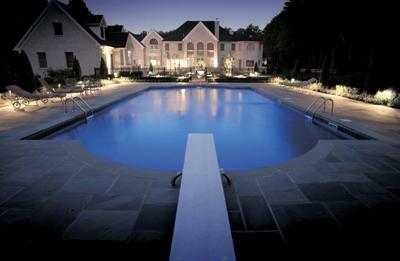 Our goal was to ensure these homeowners would be able to control their lights at the pool, the pool house and the path that led to both from their residence in order to pre-light these areas so they could go and to and from the pool safely and with ease. 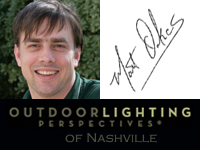 Outdoor Lighting Perspectives of Nashville gave the homeowners the ability to control each area separately, or turn the areas as a whole on or off together. They can turn on the lights at the pool, the tree lighting around the pool, the down lighting around the pool and the pathway which leads to the pool. We also tied in the lighting in their lovely rose garden. The plan for the near future is to tie all of these lights into the automation, including the lights around the main residence as well for worry free convenience and safety. This entry was posted in Lighting Control Automation, Outdoor Lighting, Outdoor Lighting Installation, Outdoor Lights Nashville, Pool Lighting, Residential outdoor lighting and tagged Automation, Lighting Automation, Lighting Control Automation, Nashville, Outdoor Lighting, Outdoor lighting in Belle Meade, outdoor lighting Nashville, outdoor lighting perspectives, TN by outdoorlightingnashville. Bookmark the permalink.